 D&L Garage Doors is the most reliable repair company in town when it comes to Salem Garage Door Roller Repair or Replacement, offering the most affordable deals available and providing service 24/7. 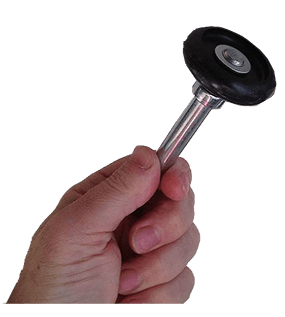 We offer a wide selection of replacement garage door rollers including but not limited to specialty rollers for any custom conditions. Choose from a variety of sizes and styles to match your specific track size and door type. We recommend you replaced your rollers every 5-7 years as they are the most used part of your garage door system.Many garage door manufactures use bottom-shelf rollers which quickly wear and eventually fail. We recommend Nylon rollers which will last longer than steel and operate much quieter. We can provide you with all types of garage door rollers for residential or commercial use and stand behind every garage door roller with our Extended Warranty Coverage! Choosing new rollers for your garage door tracks can be a little overwhelming, particularly when you are not a licensed garage door technician. At the simplest level there’s really only two things you need to really look at: the actual dimensions of the roller and the application of that roller (it’s use). Rollers are manufactured in standard industry sizes; usually a 1″ (actually 3/4”), 2″ (actually 1 ¾”), or 3″ (actually 2 ¾”) diameter. Additionally, you need to measure the full length of the stem as well. Additionally, every shaft on every roller has an industry standard diameter of 7/16″. This measurement, however, is only needed for much older doors. The material can vary for both the roller and stem. Each material has its cons and pros, and knowing your own necessities and budget expectations can help you pick a part that will last you long and serve you well. • How resistant it is against high-moisture environments? • How quiet do you want the garage door? • How heavy of a door can the roller lift? Our first priority is to choose a roller that can handle the weight of your garage door without breaking. The safest bet is to look at the material that your current rollers are made out of. However, if you are considering upgrading, we will need to know the specific weight of your garage door. Our next priority would be to determine if your garage door is in a moist environment. Rollers made with stainless steel or zinc are resilient against rust. So much so that they are used in places like car washes.If you’ve had a rust problem in the past, you should probably get rollers that are rustproof. Now you have to decide between how quiet you want your garage door to be versus how much money you want to spend. Nylon rollers are much quieter than steel rollers, but do not last as long and are a little more expensive. Additionally, the number of balls in the bearing for the roller can determine just how loud your door will be. The more ball-bearings, the quieter, smoother, and longer the garage door will run. Keeping these aspects in mind will determine how long your garage door and all its parts last. Reliable& Affordable Professional Salem Garage Door Roller Repair Service Available 24/7. Remember, fixing a garage door is a dangerous job. Some garage door parts are under extreme tension and require certain safety precautions. Research and understand the risks before beginning any repair. Failure to do so may result in property damage, personal injury or even death. Your health and safety are the most important aspects of any home project and no amount of savings is worth risking your safety. Even when you take every precaution accidents can still happen which is why we always recommend you let a professional handle you garage door needs.